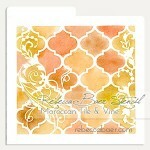 Good morning friends, its Tuesday and that means another fun share using my amazing stencils from Rebecca Baer! 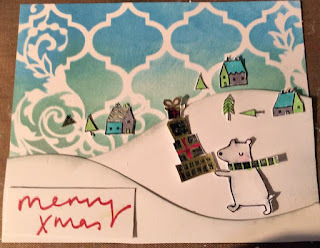 I am deep in Christmas card making and decided to do something a little bit different this time, by using a non-Christmas stencil to make a whimsical holiday themed card. 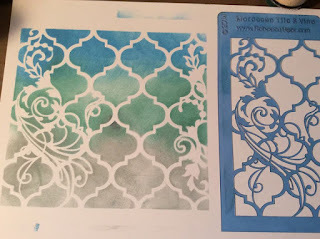 I think its good to look at our stencils in many different ways and see how we can adapt them to different ways, or in this case a season. So lets get started! I am using the Moroccan Tile & Vine stencil for this card, along with the Artiste Stenciler Brush which works so well for transferring ink to the stencil. I used three different colours of Distress Ink, Iced Spruce, Salty Ocean and Evergreen Bough. 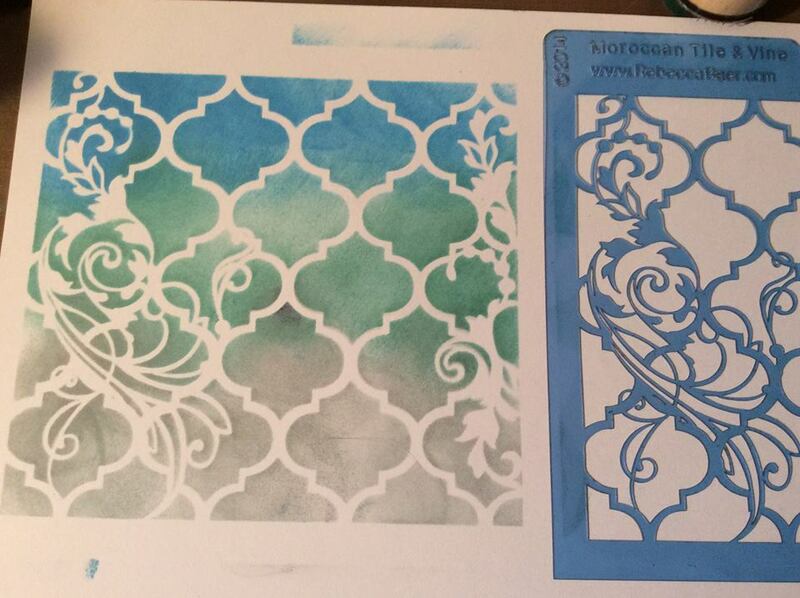 I started of with the darker colour, Salty Ocean and gently used the Stenciler Brush in circular motions. Then I went to the Evergreen Bough blending it into the first colour, then finally the last and lightest colour, the Iced Spruce. Again, making sure that I blended it all together well. You can see I got a lovely crisp image. I took the background and cut it down to 4 1/8 x 5 inches to fit my card and I also die cut some hills, adding a touch of the Iced Spruce to the edges for dimension. 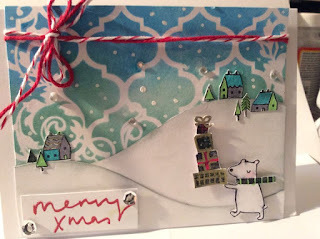 I taped them down and then stamped some images out and coloured them, then fussy cut them out....Yes, I cut out those teeny tiny trees! 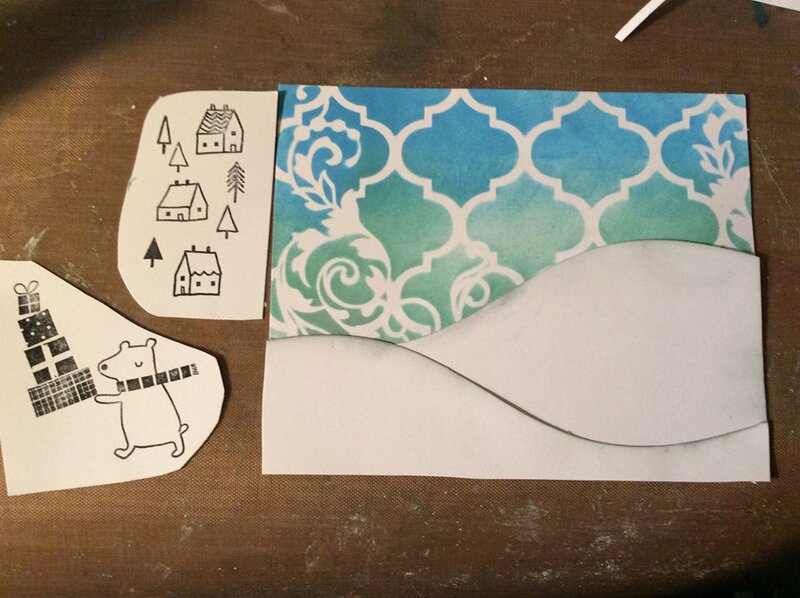 Once I coloured and cut out the images it was time to put the card together. 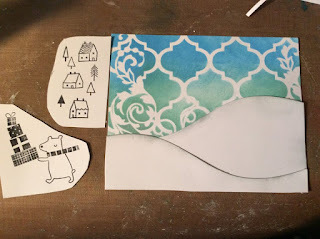 I popped up the sentiment and the bear and used some multi matte medium to glue down the houses and the trees. Lastly, I added some white dots to mimic snow and some bling, sequins and some red twine to pick up on the red in the sentiment, and there you have it. 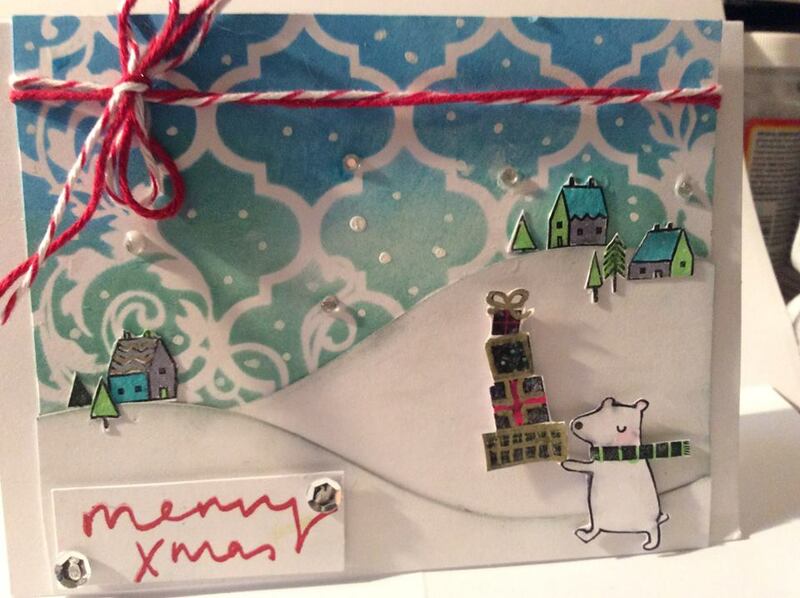 A Christmas card using a non traditional image. 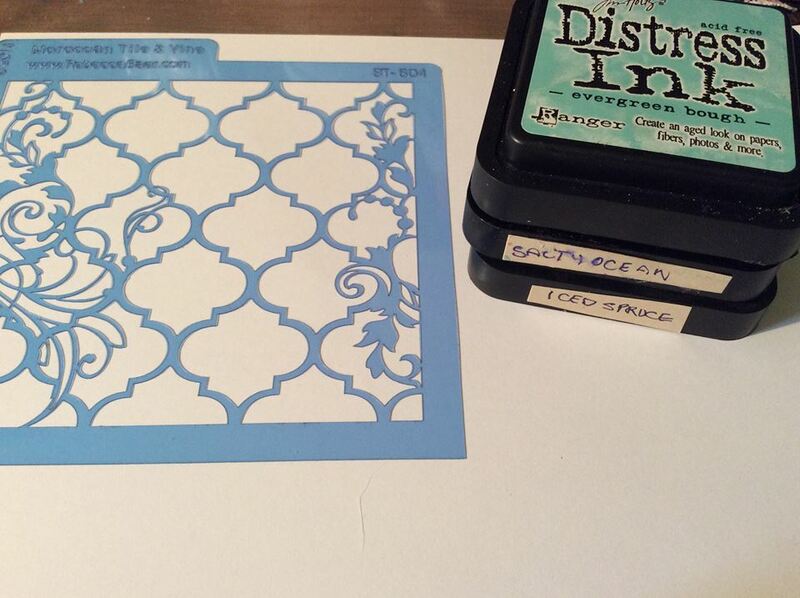 So take another look at your stencils and see what you can come up with for this holiday season. 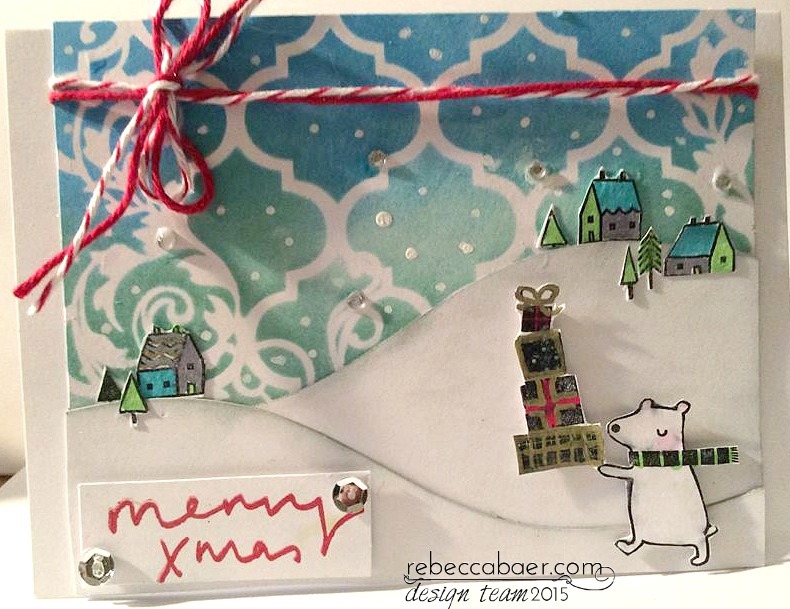 I hope you have enjoyed my card today, remember to check out all the fun items in Rebecca's Store and also the DT blog as well.